If you were asked if you wanted to have epic business relationships that not only powerfully shifted your life, but shift the paradigm for what’s possible for your clients, what would you say? If you were asked how you would want your perfect love story to go, would you have an answer? Today’s guest lives by example, and despite losing her beloved fiancé only months ago, she’s made the conscious decision to honour both him and herself by living life full on. She’s a transformational coach and one of the wisest people I know, and she helps her clients create the life, love, business and relationships that they truly want – on purpose, not autopilot. 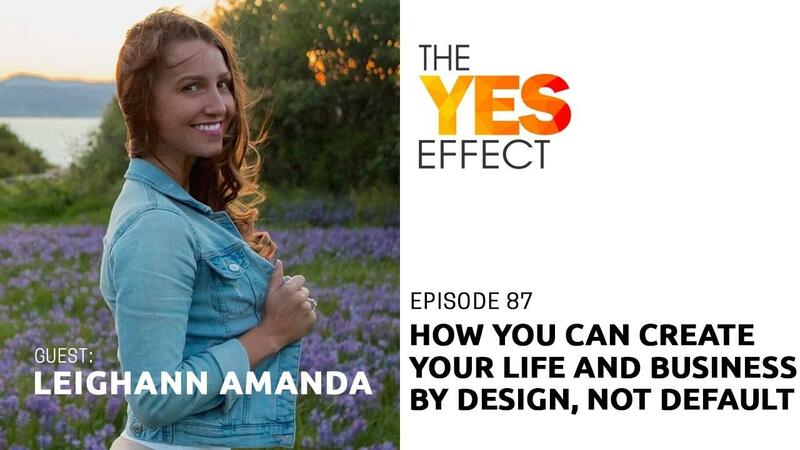 Her name is Leighann Amanda, and this is The YES Effect Show! The difference between "pay off" and "love"